You are here: Home / Why Do Dogs / Why Do Dogs Drink From the Toilet? Why Do Dogs Drink From the Toilet? Our dogs do a lot of gross things, and drinking from the toilet is pretty high up there on that list. But have you ever wondered why? Why on earth would they choose to drink toilet water when they can drink out of their own fancy bowl? Why dog dogs drink from the toilet? Believe it or not our dogs drink from the toilet because it’s usually cooler & fresher than what’s in their water bowl. It’s hard to believe that our dogs would choose toilet water over what’s in their bowl, but standing water (even if it’s in their fancy bowl) isn’t very appealing. So to put it simply dogs drink from the toilet because that water stays cool and fresh because every time the toilet is flushed new water comes in. And although that’s really gross to us, it’s that freshness that attracts your dog to the toilet rather than the water that’s been sitting out for hours in their own bowl. 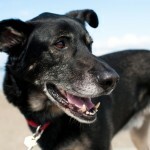 Toilet water is always cool, whereas water from your dogs water bowl may be warm temperature. So when our dogs are given a choice between room temperature water that’s been standing out for awhile versus cool toilet water they’ll often opt for the latter. While it’s quite gross to think about the fact is toilet water is fresher than water that’s been sitting out for a day or two in a bowl. 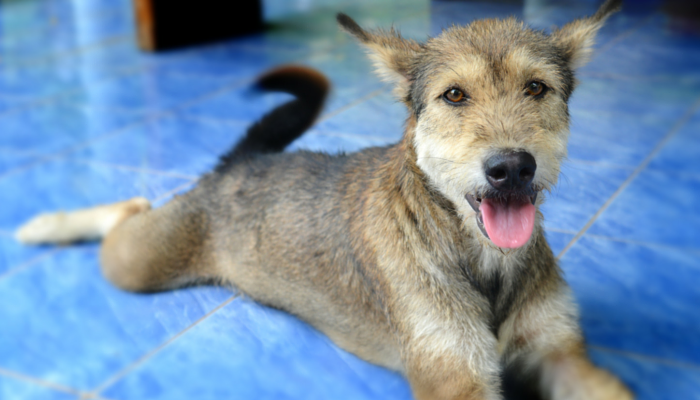 Dogs tend to avoid stagnant water since it’s more likely to be contaminated. So when given a choice between water that’s been sitting in a bowl for a day or toilet water many dogs will opt for the toilet water. Studies have found that toilet water has lower bacterial counts than other bathroom surfaces. And depending on how often you’re cleaning out your dogs water bowl that toilet water may indeed be cleaner and fresher since it’s being refreshed with each flush. In 2011 the National Sanitation Foundation (NSF) conducted a study on household items to determine where the highest concentration of germs are. They tested the contamination levels of yeast, mold and coilform bacteria (incliuding Salmonella and E. Coli). They ranked the top 10 hot spots for germs, and your toilet didn’t make the list. But in fourth place? Your pets bowl. (pet toys are 7th) Number 1 on the list was your kitchen sponge. In fact 33% of kitchen sponges test positive for E. Coli contamination. It doesn’t take long for standing water to become stagnant. Keep your dogs water bowl clean, and remember to refill it a couple times a day to keep it fresh. So how do you keep your pets water bowl clean? Washing your pets bowl with your hands alone (with a sponge & soapy water) can leave some germs behind. And depending on what sort of bowl you use there’s 2 common methods for cleaning. Here’s a few tips on how to cleans your dogs bowl more effectively. You can still use the sponge & soapy water routine to get your pets bowl clean, just remember that the sponge you use will need cleaning as well. You can clean your sponge by soaking it in water and then microwaving it for 2 minutes every other day. Just remember to always soak it before putting it in the microwave. That method will kill over 99% of the pathogens in your sponge. To clean your dogs water bowl use a liquid soap or detergent with hot water and scrub the inside with your sponge once a day. If your dog has a stainless steel water bowl you can wash it in the dishwasher. If you’re not sure if your dogs bowl will hold up in the dishwasher check for the label. Most dishes (and some dog toys) will have a ‘dishwasher safe’ label. Cleaning your pets bowl in the dishwasher is an effective way to kill the germs. While hot water alone may make your dogs bowl look clean, it’s hard to reach that 140 F temperature to kill germs in anything other than a dishwasher. Many pet dishes end up with a layer of slimy biofilm after awhile (especially true for plastic dishes), and it’s quite challenging to remove since it needs to be broken up. Some sponges are abrasive enough to work on their own, but if not you can add some salt to one side of your sponge to make it abrasive enough to break away that film. 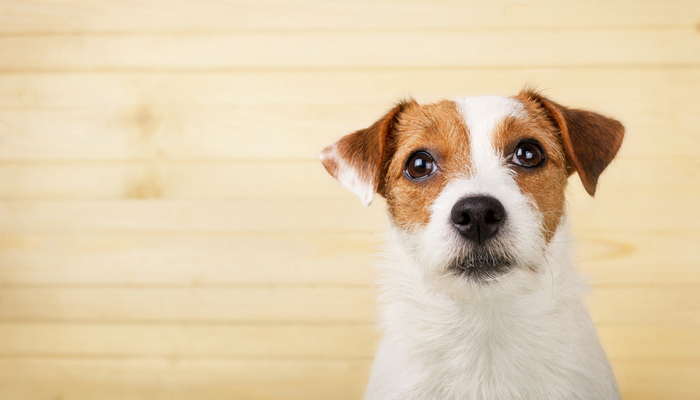 After you’ve removed the biofim you can clean your dogs bowl with a mixture of vinegar and baking soda. Mix it until it’s a paste like texture and thoroughly scrub the inside of the bowl. 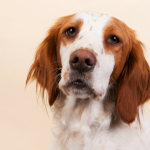 When your dog drinks from the toilet there are some potential health concerns. Many of the cleaning products we use contain strong chemicals that can be harmful to our pets. 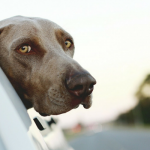 Those cleaning agents pose a bigger risk to your dog than the toilet water itself. Some of those products leave residue behind, and some are designed to continually release chemicals. Keep your dog safe from those potentially toxic products by keeping them away from the bathroom after you’ve used them. While drinking from the toilet isn’t desired, there are a few ways to help reduce the behavior. The easiest way to stop your dog from drinking from the toilet is to remove their access from it. You can either keep your toilet lid closed at all times, or you can opt to keep the door to the bathroom closed. The other way to discourage your dog from drinking from the toilet is by thoroughly cleaning your dogs water bowl once a day, and refilling it with fresh water multiple times throughout the day. Standing water is a breeding ground for bacteria, and that’s why our dogs opt for that “refreshing” toilet water. It may be gross to us, but to our dogs they just see a bowl of cool, fresh water. 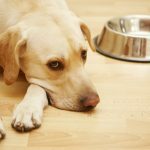 Why Do Dogs Guard Their Food? And now, if you could write the companion piece to this: “Why do cats drink from the toilet?” ☺ OMG, I’m getting ready to post a pic of my doofus cat–who was caught with his head in the bowl, like a giraffe beside a pond–just this morning! I think maybe the sound of the running water got him in there; it certainly wasn’t because it was fresher than his water bowl! ugh! It’s the worst noise ever, isn’t it? You know exactly what it is right away lol. It totally grosses my out, but good to know it’s common. I have a 7-month-old border collie and she gets so excited when I flush the toilet, thinking she’s going to get a fresh drink. She ALMOST has me trained to put the lid down every time.